The dog days of summer are at our door, and things are getting awfully hot outside. Bird walks are quickly being replaced by watering-hole swims and shady naps. In the past weeks, I’ve only gotten out explicitly for birding on one occasion. I broke with the dawn and was on the trail by ten-of-six, but while I could hear and catch glimpses of a great variety of flyers, my sharp-shooting skills were no match for the dense foliage. I did however get near and dear to a couple of white-tailed friends. I nearly walked into this button buck while walking back to my car along the Maiden Head Trail (in Mercer Meadows as always). Many years ago, I took a spirit animal quiz that likened me to the mighty stag. Of course that’s a load of malarkey. Firstly, I don’t believe in spirit animals. Secondly, anyone who knows me knows that my spirit animal is none other than the majestic sasquatch. Regardless, I’ve always appreciated the ubiquitous quadruped. It truly is our last great herd of mega fauna in North America, and I pray their ilk will continue to thrive on this continent into the distant future. Fun fact: Deer are actually quite rare in Ireland to the point where the small herd of fallow deer (Dama dama) in Phoenix Park is seen as an exotic zoological wonder to the locals. Consider that the next time you honk and churl at their NA counterparts. I would still go on a bow hunt. For many years I lived in a community with a rich hunting tradition. Since I already pay top-dollar to eat cow meat and venison tastes good, and since somebody has to keep their population from reaching that critical mass where they out eat their own food supply, I would be alright with doing the dirty job of culling a stag or two per year, so long I as I ate the animal and made use of the hide. Most motorist around these parts consider hunters a blessing. Erin wouldn’t like it, so I don’t and probably never will, but maybe I’ll add it to the bucket list. There are approximately twenty-million(!) white-tailed deer (Odocoileus virginianus) roaming the wilds (and suburbs) of North America. Deer are so important to the culture of this country. They are one of those ancient things that link the first peoples to the most recent of immigrants. No American landscape is truly complete in their absence. WARNING: The information below is for educational purposes. If you are suffering from a serious condition please see a qualified practitioner. On June 9th, we had the good fortune to attend the Allies for Plants and People Symposium. The event was held in Upper Black Eddy, PA at the River Valley Waldorf School. The gathering brought herbalist from around the mid-atlantic to hear talks regarding everything from how to grow and harvest Lion’s Mane to using herbs to support programs of addiction recovery. At times I felt like I was attending an Herbology lecture at Hogwarts 😄! The opening speaker, Phyllis Light, offered her uniquely Southern perspective on herbal medicine. The presenters—David Winston, Christopher Hobbs, Phyllis Light, Tammi Sweet, and Guido Mase—all did an incredible job. Full Disclaimer: I wasn’t able to catch either portion of Sweet’s double-part lecture on the nuanced uses of the cannabis plant, but I spoke with her briefly in the hallway and she seemed like a genuine gem. I attended lectures from the other four speakers and each brought their own experiences to the world of phytotherapy. Phyllis Light, a Louisiana native, started off the day with a keynote entitled, “Southern and Appalachian Folk Medicine.” Part herbalist and part historian, Phyllis brought us back to the earliest roots of American herbalism, exploring how the confluence of Native and European cultures gave birth to our most enduring school of herbalism. She stressed the importance (by volume) of herbs as an export from the New World during the 18th century, and also made the case for Appalachian Folk Medicine as the bridge between lost schools of traditional plant medicine and the modern movement. The cafeteria, which served as a main stage for the event, had this awesome scrim behind the podium. This picture represents only a small section. Something that stuck out was her concept of seasoning illness. “More soldiers [during the Civil War] died of seasoning illness than battle.” said Light. Seasoning Illness is when a person is not acclimated to a land and thus cannot easily digest the foods, take in the air, or drink the water. Our bodies must adjust to a place slowly over time before we are able to truly ground in that place. Light (short for Lightfoot) painted a vivid picture of the primordial south, with its wild ginsengs and water snakes, but I had to wait for the next speaker to get the detailed pharmacopoeia that I had expected. They are a class of herbs that are gentle on the body and are safe for everyday use; their benefit is a gradual movement towards homeostasis and healthy function of the body—and often they are considered useful in fighting stress. Winston gave a condensed version of his book (of the same name as the talk) in the 90-minute talk. If this post piques your interest and you’d want to learn more I’d recommend that as a starting place. 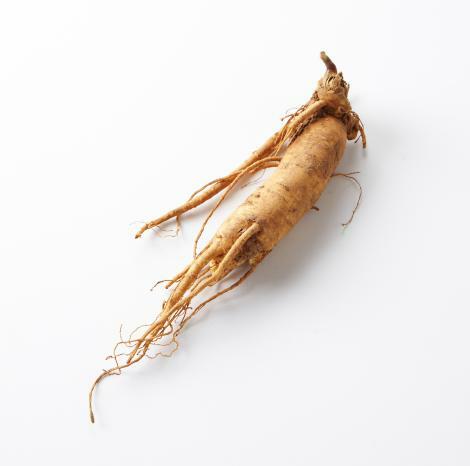 American Ginseng—Useful for older adults (40-60) who are noticing a loss of energy due to aging. Ashwagandha—Calming. Good for anxiety, mild OCD, and bad dreams. 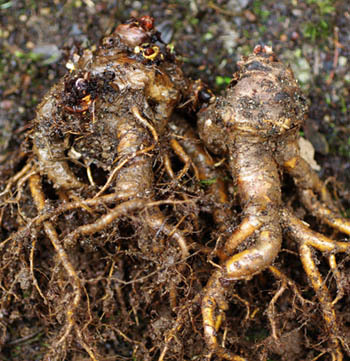 Asian Ginseng Root—Most stimulating of all adaptogens. Most appropriate for the elderly (70+) dealing with cold, depression, or poor circulation. Eleuthero Root—Mild, non-stimulating. Good for young people (15-35) who are overstressed, overworked, and under-slept. Rhodiola Root—Second most stimulating adaptogen. Useful in cases of ADHD. Promotes memory, focus, and concentration. Rhaponticum Root—Mildly stimulating. Most appropriate for adults (25-40). A choice herbal for athletes and laborers. Also known to reduce LDL cholesterol levels. Wu Wei Zi—A calming adaptogen which helps create a relaxed, focused, and alert state of mind. Widely used to enhance endurance, reduce cortisol, and treat gastritis. Winston continued by listing several probable and possible adaptogens, including Dang Sheng, Tulsi Basil, Jiagulan, Maca Tubers (currently very trendy), Maricula Root, the Reishi fungus, Rou Cang Rong, Shilijit Pitch and Suo Yang. He claimed that Suo Yang has been shown to increase telomere length, which if studied and true could make it a veritable fountain of youth. That wrapped up the morning sessions. After Winston’s super informative talk, I was psyched for Christopher Hobb’s afternoon session on medicinal mushrooms. Taking a short rest after a big meal and a long day of lectures. In lieu of photographs and notes, I recorded video of most Hobbs’ talk to video and then proceeded to wipe them from the card like a dumb-dumb. The biggest takeaways from Hobbs’ talk were, firstly to be super cautious when wild crafting with mushrooms as many are toxic—i.e. beginners should always go out with experienced mycologist—and secondly, the most effective way to prepare medicinal mushrooms for consumption is to boil them for at least twelve hours, as this breaks down the connection between chitin (mushroom equivalent of cellulose) and the beta-glucans (the medicinal component). Many mushrooms are now being studied in their anti-cancer capacity. Pleurotus ostreatus (oyster mushroom) has a long-studied efficacy in preventing the spread of cancer. Chaga has a long history of use in Russia in treating cancer as well. More research needs to be done for sure, but these ancient medicines might hold the key to fighting our deadliest diseases—at least in conjunction with other treatments. Our last breakout session was with the unflappable Guido Mase regarding the use of herbs in programs of addiction recovery. He suggested using herbs that support the production of GABA in the body, but ultimately pointed to addressing the root causes of trauma and stress (in part via therapeutic use of Salvia divinorum in a clinical environment) as a lasting solution. Winston wrapped up the day with a rather poetic talk on the things he had been taught by plants: patience, humility, love, kindness, and cooperation. I was rather intrigued to discover that lichens were actually a composite organism between an algae, a yeast, and at least one other fungi. Erin was babysitting and the parents didn’t get home until 11:30pm. We made plans earlier in the day to go to Art All Night, but the expectation was that she’d be down by 10:00pm. We got there a little past midnight, found parking pretty easily, and made our way across Broad into the fray of people outside the Roebling Wire Works. The food trucks were closing by then, so we just made our way inside. The art was amazing. I’d never seen such an outpouring of creativity. It had such an open feel too, with honest-to-god masterpieces adjacent to elementary-school-crayon works. This was an event that truly belonged to the community. That was meant for everyone to partake in and enjoy, and be a part of. Art belonged here. It felt at home in this place. We met up with our friends. They were just as excited to see the walls upon walls lined with peoples emotions, dreams, talent, and work. I was honestly an awesome scene. There was live music, and I ran into some old friends and all around it was a great time. I work with these two. They have great senses of humor, they really do. The crowd was lively but respectful. I had a great conversation with a die-hard 49’s fan about photography. I saw he was trying to take a picture of a Kaepernick painting, and I got to asking him about the sort of lens he was using. His 55mm focal length meant that he needed a clear path to the painting from about eight feet back, and one obviously drunk lady was all too happy to oblige by shouting, “Get out of the way, guys. They’re trying to photograph the art,” to all the people in line at the silent disco, and those people were super kind and obliging and formed a horseshoe around us. Eventually my friends were much further ahead in line than I was, and I had to bid farewell to the 49’s fan, shook his hand and wished him well. I wasn’t diligent about taking down the names of the pieces I photographed. If anyone knows who made this and what it is called, then please let me know so I credit them. We were all waiting to go into the silent disco, but I got a weird feeling about the whole thing. All of a sudden I had this irrational fear of entrainment. Erin had the more rational fear of head lice, so we decided to leave at about 1:30am. And honestly it was a great time. We both really enjoyed ourselves and would have loved to return in years to come. Masss Shooting. 20 injured. One dead. Art All Night—Trenton. I don’t even know what to say anymore. I don’t understand it. I don’t want to understand it, but if understanding it can help prevent it, I will try to understand it. I just don’t have the words. Violence in this country is a critical issue, and everyone should address it holistically and with an enduring diligence if we are to build any future at all. I’m disgusted to hear, “Oh well, this was just gang violence,” as if the victims of these crimes care whether it’s Islamic extremists, lone-wolf white supremacists, or black-on-black that put the metal in them or their friends. Mass violence really only comes in one flavor, and it’s a difficult one to swallow. And I’m at a loss. My heart and my prayers go out to the victims of this incident, but we both know that something cultural, legislative, and systemic needs to occur for their to be any real change. I ended up putting down Before France and Germany (ISBN: 0195044584). I’ve been so busy. If I get down the beach for a couple days in July, I’ll bring it with and pick it up again. We’ve been juicing with our greens from Honeybrook Organic Farm. It’s a PIA to clean the juicer everytime, but dear lord is nothing better than a freshly made green machine. Speaking of green, did I mention I love matcha! Picked up a tin of the baking-grade stuff from Wegmans, and dang it’s still pretty good in an iced green tea latte.